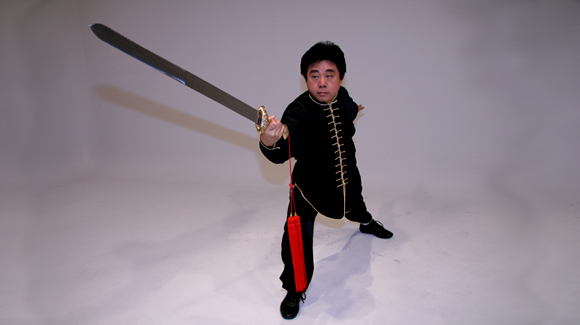 Sifu Jimmy Wong is the U.S. Master for the International Chin Woo Federation headquartered in Shanghai, China, and is the founder and Head Master of the America Chin Woo center in Dallas, Texas. Master Wong has trained two National Champions: the Women’s Traditional Forms Grand Champion at the 1992 & 1994 U.S. National Chinese Martial Arts Tournament in Orlando, Florida and the 1991 Men’s Northern Shaolin Champion at the International Chinese Martial Arts Championships in San Francisco, California. 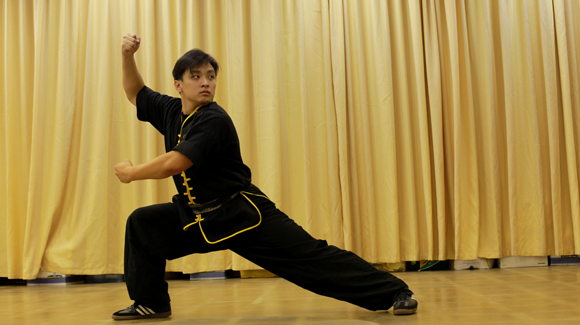 Sifu Jimmy Wong is the sixth generation, direct lineage, of the Wu Yu-Xiang Wu(Hao) Tai Chi System. Mr. Wong, also known as Wang Guo-Qiang, is the closed-door disciple of Great Grandmaster Wu Wen-Han in Beijing and was the disciple of Great Grandmaster Chen Gu-An, China’s Taiji Pearl until Mr. Chen passed away. The last disciple of Grandmaster Wu Yi-Hui, Grandmaster Lu Gui-Yao has taken Mr. Wong as a disciple in Waterboxing (Liu He Ba Fa) and given him the designation as overseas honorary president of the China Foshan Guandong Xin Yi Liu He Ba Fa Association. 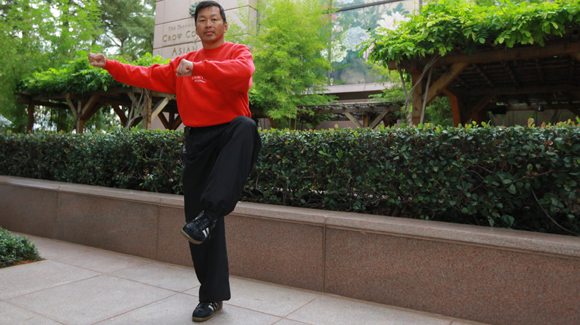 Mr. Wong’s mission is to make traditional-style Wu(Hao) Tai Chi available to all persons. Mr. Wong holds many National and International Advisory positions to various kungfu organizations and has given workshops in many countries. Mr. Wong has taught kungfu at the University of Houston, Tai Chi and Qigong at the Texas Hei Long Jiang College of Traditional Medicine, Tai Chi and Qigong to doctors at the Beijing International Acupuncture Center, Swedish Wushu Federation, Stockholm and Singapore Chin Woo. In 1998, his student competed against the Chinese competitors in the 5th 1998 International Yongnian Taijiquan Championship in Handan, China, and won 1st place in Wu(Hao) form and Wu(Hao) Tai Chi sword. During the same trip, Sifu Wong was promoted by the China Yongnian Taiji Association and given the only Wu(Hao) Grandmaster title outside of China. Sifu Wong’s mission is to spread the Wu(Hao) Tai Chi in North America and make it available to anyone who is interested. He recently established the North America Wu(Hao) Taiji Federation, which is based in Dallas, Texas. He has a strong belief in preserving the traditional Tai Chi. Sifu Wong was also the first to produce a Wu(Hao) Tai Chi video. Additionally, Master Wong holds several certificates of training and is a Texas Licensed acupuncturist, and is currently the president of USA Taiji Federation. Coached students into award-winning places in competitions for kungfu, lion dancing, and Wu (Hao) taiji. GrandMaster of Wu (Hao) taijiquan granted by The China International Yongnian Traditional Taijiquan Association, in 1998 At that time he was the only person outside of China to have this distinction. USA representative and Executive Board of the World Chin Woo Federation. USA executive board member for the International Lion and Dragon Dance Federation, Beijing, China. Vice-president of the USA Traditional Kung Fu Wushu Federation. Many of Mr. Wong’s students have achieved prestigious competition awards–championships to bronze medals. Ms. Patty Sun, a Shaolin Kungfu practitioner, is 1992, 1994, 1996, and 1997 female grand champion, traditional forms, in the USA National Martial Arts Championships. She also was awarded the 1997 Traditional Athlete of the Year by the USAWKF Hall of Fame. Ms. Sun competed in the 7th International Yongnian Taijiquan Festival & Championship and received first place in Wu(Hao) taiji form, straightsword, and broadsword. His taiji student, Ms. Kathryn Wong, was the Wu(Hao) taiji weapons champion at the 5th International China Yongnian Taijiquan Championship. In 1991 and 1995, Mr. Wong was the coach and leader for the USA Chin Woo Lion Dance team in the International Lion Dance Championships in Malaysia and Hong Kong. Afterward, he hosted the Malaysia World Lion King Champions–Kun Seng Keng, in their US tour, boosting lion dance culture in the Southwest. Twenty-four of Master Wong’s students competed in the 7th International Yongnian Taijiquan Festival & Championship in Handan, China, on October 16, 2000. Many of Mr. Wong’s other students have said his example, the encouragement gave, and discipline he taught have helped them launch successful business careers. In addition to his achievements as an award-winning coach, Mr. Wong holds many national and international advisory positions to various Kung Fu organizations. He has given workshops in various countries and taught kungfu at the University of Houston, Tai Chi and Qi-gong at the Texas Hei Long Jiang College of Traditional Medicine, Tai Chi and Qi-gong to doctors at the Beijing International Acupuncture Center, Swedish Wushu Federation in Stockholm, and at Singapore Chin Woo. While he traveled to overseas competitions, Mr. Wong organized the construction of 4 monuments in honor of the Wu(Hao) taiji founder, Grandmaster Wu Yu-Xiang, and his lineage at Wu Yu-Xiang’s home in Yongnian, China. This historical construction was made possible by the contribution of the USA Chin Woo Federation. For more than a decade, Mr. Wong has organized the largest martial arts tournament in the United States–Taiji Legacy international Martial Arts Championships & Legends of Kung Fu World Martial Arts Championships. In July 2002, the USA Chin Woo Federation took great pleasure and honor to serve as a host for the 7th World Chin Woo Championships and Cultural Festival. The competitions were held in Dallas, Texas, USA, and were attended by athletes from around the world. Mr. Wong produced an instructional video that won the prestigious Dallas Crystal Award, an award given to locally produced videos. It was broadcast on television in the Dallas, Texas, area, expanding Wu(Hao) taiji’s exposure. With sixth-generation GrandMaster Tu Chung-King of Taiwan, he studied Yang style and opened a school. He is also a Texas-licensed acupuncturist. At 13 years of age, Mr. Wong entered the Selangor Chin Woo Association in Malaysia and studied Northern Shaolin from Grandmaster Yeh Shu-Shen, expanding the Hainan-style kungfu he had learned from his older brother into a course of study. Mr. Wong, then, immigrated to the United States and entered a Bachelor of Science program in computer science at The University of Houston in Texas. While attending the University of Houston, he taught Shaolin kungfu at the school. After graduation, he took a position with Texas Instruments and, later, moved to Dallas, continuing his formal education with a Masters of Business Administration at the University of Texas at Dallas. Mr. Wong, then, traveled to Malaysia and Singapore Chin Woo schools. There, he studied lion dancing and martial arts for several years, consulting with school officials and expanding his expertise. His dedication, hard work, and extensive knowledge of Kungfu impressed the Chin Woo officials and, when they learned Mr. Wong wanted to establish Chin Woo in America, they provided enthusiastic support and encouragement. The first officially sanctioned Chin Woo school of Kungfu in the United States opened July 25, 1987. Students continue to train there today.